What's Happening: Some food for thought: I was recently talking to a veteran radio broadcaster who expressed the concern that people in his listening area are of the opinion that Beach music has lost its identity. Not sure I totally agree with that, although I can understand the thought process. One of the most knowledgeable of all historians in Beach music, Fessa John Hook not long ago wrote ''In case you hadn’t noticed, Beach music is not only in transition, it’s undergoing a major upheaval which may or may not lead to its reinvention.'' I do see a lot of meaning in that statement. What is driving the transition? Have the baby boomers who grew up on Beach music lost interest? It is extremely hard (in fact, almost impossible) for any night club located outside of Myrtle Beach to make a go of it featuring nothing but Beach music. The state of the economy over the last few years has certainly had an impact on the consumer dollars being spent. Another factor - the folks (said baby boomers) that once went out to a club maybe 2 or 3 times a week in their 40's and 50's are now aging out to a point where they may be lucky to make it out once in that same time period. Has the music trend changed all that much in recent years? A look at the 2011 year end chart of the top Beach music songs reveals that 56% of the tunes were by artists whose primary focus is in Beach music – 44% were songs by artists who have either very little or no focus in the genre. The percentage of non Beach music artists on the year end charts was actually much HIGHER 15 years ago than it is today. Why? There are exponentially more artists in Beach music now and a much higher volume of new music being issued that is specific to the Beach genre. There is an abundance of talent in the business today but does the proliferation of all the newer artists labeled as Beach leave enough available consumer dollars to go around? It is evident that artists labeled as Beach must have a much deeper repertoire of diverse songs than was once needed in order to get the higher paying jobs such as weddings and private parties. The competition is fierce for this facet of the business in order to survive. Earl Dawkins of the Entertainers recently said ''If you want to book gigs as a band you better have a whole lot more in your song bag other than Ms. Grace and Carolina Girls.....”. The presentation of the music has also seen some real changes. There are fewer live Beach radio shows, many more syndicated shows on commercial stations and global exposure from several Beach networks on the internet. A huge increase in the number of DJ's has brought about more exposure to the music of the Beach artists, albeit not necessarily on a consistent scale. This is also leading to quite a bit of splintering as to what songs and styles get played for shag clubs and events. There is a multitude of Beach music released out there from several different distributors – but where do you buy it? I live in Raleigh, N.C. - 15 years ago I could name 10 different retail music outlets within 20 miles of me where I could potentially buy Beach music. I can't think of any of those that still exist today. Will the same folks (mostly baby boomers) that once got excited to be able to go to the store to buy a new Beach music CD go online to the internet today to order a CD or make an MP3 download purchase? With the radical changes in music media, should Beach music artists continue to spend time in the studio recording and releasing CDs? The answer to that from my point of view is 'yes'. Even though very little or no real profit can be derived from new CD production these days (due to the major expense of getting it recorded and released against projected sales), it does provide a strong marketing tool for the artists. Fortunately, most of the artists have developed or are developing enough loyal followers that their recorded music does get purchased, particularly at their live events. The winds of Beach music – there certainly are a changing, where will it all lead? We have had quite a bit of participation in Beach music in recent years from some significant artists far north of the Mason-Dixon line. One such notable individual is from Brooklyn, New York – the very talented Angel Rissoff. 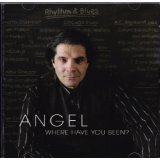 Since his solo introduction in the genre in 2005 with I Want A Love I Can See (from the outstanding album Angel Where Have You Been), Angel has had a string of hits. Break Out The Tears, Soothe You, Like To See My Baby (duet with King Tyrone), Boogie Down Bronx, We're Tight (duet with Rhonda McDaniel) as well as his great renditions of Think and Open The Door To Your Heart. His latest killer tune is I Thought I Knew Her, which he recently performed at the 6th Annual Cabin Fever Throwdown on February 26th. Angel was actually no stranger to Beach music, having been a group member of both Little Isidore and Little Leopold, whose most recognized hits would be Harlem Hit Parade and Jitterbop, respectively. Another artist from up north having an influence in Beach music in recent years is the South Brunswick Township, New Jersey based group Wallstreet. The band is headed up by Odell Mickens, who is also a member of the legendary Trammps. Wallstreet has a current smoking hot tune, Old School Music, which has been a Beach chart staple over the last few months. We first got an inkling of the great rhythm section of this band in 2005 with their release on the beach of It's Finally Friday. Subsequent hits have included The Little Things, Closing Time (my favorite), Such A Beautiful Girl and He and She. Wallstreet will be heading South this coming May for a Beach music tour which includes stops at Thirsty's 2 in Greensboro on the 18th, Ducks on the 19th and Boom Booms on the 20th. Be sure to catch one or more of these live events - you will certainly be glad you did! Both contain songs that are gathering steam in the world of Beach music. At least one retail music outlet does remain (see the discussion above) where you can go in and physically purchase music (and shag shoes too!) from a live person. That would be Judy's House Of Oldies on Main Street in Ocean Drive. Judy Collins has also persevered with her own Sisbro Records label to release some excellent music over the last several years. 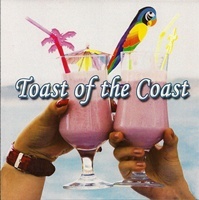 The latest compilation, Toast Of The Coast, contains 13 tracks, all viable for radio and/or club play. Jimmy Weaver's (formerly of The Castaways) rework of the self written I Wanna Show You works well on the dance floor. The Craig Woolard Band checks in with a version of Harlem Shuffle that is already getting significant attention. Charlotte N.C.'s Shohn Marshall (I had a chance to catch up with him at the 2011 CBMA weekend) reappears on the beach scene after a several year absence with two fine tracks – Shagging Every Day and My Baby's Song. Nashville singer/songwriter Lance Wing has two new songs (Haul Off & Love Someone, All Done With Me) included here. Hot grooves (Gitcha Love, Sugaa Shack) are from a hot Soul group, Klass Band Brotherhood, who are making waves in the Southern Soul and Beach markets. Outstanding vocalist Andy King gives us a strong rendition of Up On The Roof. Mighty Mo Rodgers follows up hit recent hit Shame with another new one, Boogie To My Baby, which has strong potential. Good stuff all the way around on this one from Sisbro! 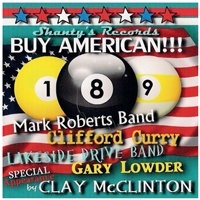 David Wade's relatively new Shanty Records label recently dropped its third compilation to date – Buy American. Two cuts from The Lakeside Drive Band, Candy Girl and I'm Still In Love With You, are already well circulated and charting. Delbert McClinton's son Clay, is coming into his own as a songwriter and performer. He has a couple of cool boogie tunes on the comp with Howlin' At The Moon and Oughta Know. I'm liking the legendary Clifford Curry's change of pace from recent recordings with I Love Women and Set Me Free. The Mark Roberts Band (no longer known as Mark Roberts & Breeze) baselines Don't Let The Sun Catch You Crying and recreates some hard driving Soul on No Doubt About It. Gary Lowder continues to demonstrate his singing prowess with Been There Before. There are 9 tracks total, and at a bargain price! What’s Way Old: Do you remember a Top 40 hit song from 1970 entitled 5-10-15-20 (25-30 Years Of Love)? Some of you do I am sure. It was from a Washington D.C. based group aptly named The Presidents. The Van McCoy produced single was to be their only national hit, reaching #5 on the R&B and #11 on the Pop Billboard charts. Their songs, most of which were issued on the Sussex label, today are collectors items today that meant so much more in Beach music circles. Sweet Magic and The Sweetest Thing This Side Of Heaven were two of the groups' smooth Soul grooves that made the Top 20 Beach chart for 1971. The latter song had also previously been a national hit for Chris Bartley, who was another disciple of of McCoy. I'm Still Dancing was a much underrated upbeat track that still gets Beach radio air play today. For You had been a 1965 hit for a group known as The Spellbinders, but the Presidents took the song to a new level 6 years later. 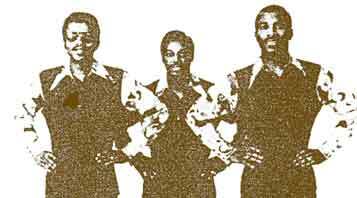 A few of their hidden gems – Girl You Cheated On Me, Triangle Of Love (Hey Diddle Diddle) and It's All Over Now - for true connoisseurs of Soul music, these are stone cold killers. But enough from me on this, you get the picture. Just another in a long line of 60's/70's talented but short lived groups that were vastly under appreciated in music history. Such is the stuff that often makes up Beach music lore.